Respect the freedom, human essence and rights of others, the various ways of expressing ideas and opinions, and public interest requirements. Encourage the Lebanese TV production, thrive to highlight Lebanon’s archeological, historical, artistic and cultural landmarks, and give all support to researches and experiments in terms of arts, in view of ensuring the components of creativity and innovation. Ensure professional competition among TV corporations, starting from the principle of responsible freedom and sound trade rules, while taking into account the principle of equality, as well as offer and supply requirements under laws in vigor. Adopt a well-studied, flexible and dynamic program timetable, which goes along with the spectators’ ages in order to preserve public morals, national and family cohesion, and set up a classification of programs, movies and series. Keep pace with the intellectual, cultural and technical progress, in a way to raise Lebanese TV corporations to international standards. Allow TV corporations to fulfill their mission as efficient tools in building the human being, develop public sense and enhance aesthetics and euthenics. 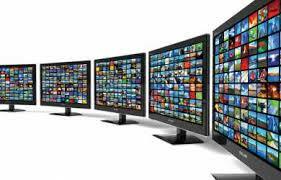 The freedom and democracy of the TV activity, as well as its role in expressing all opinions. Respect human rights and the rights of others, and safeguard public order, national defense needs and public interest requirements. Respect others’ rights in terms of literary and arts, and abstain from broadcasting anything that may constitute a violation of others’ arts, literary and commercial ownership. The need to develop the national industry in terms of TV production. The volume of the local production as defined in the book of specifications. Encourage national education and preserve social peace, family bonds and public ethics. Not broadcast anything that may lead to propagandize relationships with the Zionist enemy. Not broadcast any economic topic or comment that may affect either directly or indirectly the security of the economy and the national currency. Not broadcast or transmit anything that may stir up or incite to confessional or sectarian feuds, nor anything that may drive society, mainly children, to physical and moral violence, moral delinquency, terrorism or racial or religious segregation. Not broadcast any slander, libel, demeaning, defamation or calumny vis-à-vis any legal or natural persons. Not earn any financial gain other than from the nature of its work.